“I’m a huge supporter of liberal arts,” declares environmental lawyer Robert McKinstry Jr. ’75. 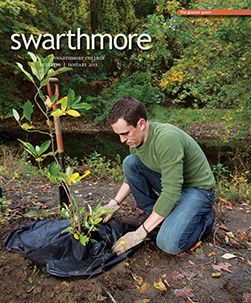 The first of four siblings to attend Swarthmore, he was equally interested in humanities and sciences. “I didn’t have any trouble getting distribution requirements,” he reports. Uncertain as to whether to go into medicine or law, his course load covered the whole spectrum of subjects: He majored in history, minored in political science, learned Russian, and took all the necessary premed courses. In addition, he was an All-American swimmer on the varsity team. “Mens sana in corpore sano [a sound mind in a healthy body],” he says. McKinstry’s love of science ultimately helped him identify his true passion—the environment. He became the first candidate in a joint degree program between Yale Law School and the School of Forestry and Environmental Studies, receiving both a J.D. and a master of forest science degree after four years. His timing was fortuitous, he says, because it was in the 1970s that environmental law really came into its own. 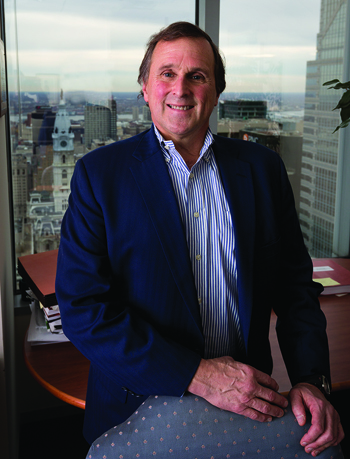 In 1987, after a clerkship and a half-dozen years working in the field for a Philadelphia law firm, McKinstry co-founded the environmental practice group at Ballard Spahr. The practice grew rapidly as Superfund work expanded, providing for hazardous waste cleanup. The scope of McKinstry’s work widened in 2001 when he became the Goddard Chair in Forestry and Environmental Resources Conservation in the Penn State School of Forest Resources, a term-limited position as a full professor. There, he began to focus on climate change, biodiversity conservation and sustainable development, teaching graduate courses, setting up the joint degree program between Penn State’s School of Forest Resources and the Penn State Dickinson School of Law, initiating a conference series, and writing and editing a book on biodiversity, among other activities. McKinstry also was counsel of record representing a group of leading climate-change scientists who filed amicus briefs in the Supreme Court case Massachusetts v. EPA, in which the court reversed EPA’s refusal to regulate greenhouse-gas emissions under the Clean Air Act. When he returned to Ballard Spahr in 2007, McKinstry brought with him concerns that he felt had now crossed over from academia to the real world: air quality, sustainability, greenhouse gases, energy consumption. He currently represents some newer, more heavily regulated utilities that must compete with older, uncontrolled, more polluting ones. He also works on what he calls more traditional environmental cleanup as well as a pipeline issue in the Marcellus Shale, site of the current natural-gas boom in Pennsylvania. The spectacular view of Philadelphia’s two major rivers from his 44th-floor office aerie is a reminder of the work McKinstry has done helping the city’s historic water department finance a sustainable infrastructure. He is also senior adviser to the Center for Climate Strategies, an organization that helps environmental groups design state and regional climate plans. McKinstry’s many contributions to the field were recognized in a distinguished service award he received in 2010 from his colleagues in the Pennsylvania Bar Association’s Environment and Energy Law section. “I like to think that I do well by doing good,” he says.